Protect aging hair with these top-notch hair products. When it comes to purchasing hair products, you always want to make sure that you’re making informed decisions based on your particular hair needs. For example, if your hair tends to get particularly oily, you want to buy items that won’t add to that specific issue and that may even help to minimize it. The same goes for aging hair. As you mature, though, your hair might begin to exhibit more signs of dryness. Other issues that spring up the older you get include more widespread and faster graying, as well as a general thinning of the hair. The texture of your hair may change as well, becoming more brittle. All that said, the world of hair products is chock full of options, many of which will directly help you address these aging hair concerns. You may want to invest in moisturizing treatments, including leave-in conditioners (assuming your hair isn’t too thin). If your hair does seem to be falling out in larger amounts, you might also want to purchase hair products that combat thinning. These products might include DHT-blockers or natural ingredients that are proven to give our hair and scalp better care, such as aloe vera, biotin, Omega 3s, and rosemary essential oil. Oil treatments (like ones utilizing olive oil, Jamaican black castor oil, jojoba oil, and almond oil) can also help treat or prevent the brittle feeling of aging hair. Basically, you don’t want to skimp when it comes to proper hair care the older you get. One of the biggest culprits in damaging hair over the years is heat. That is, the heat from a curling iron, the heat from a hair dryer, even the heat from the sun. That’s why, if you haven’t already, you really need to invest in a product that protects your hair from heat. Try Phytokeratine’s Botanical Thermal Protectant Spray, a paraben- and sulfate-free product that will prevent any further damage to your hair. 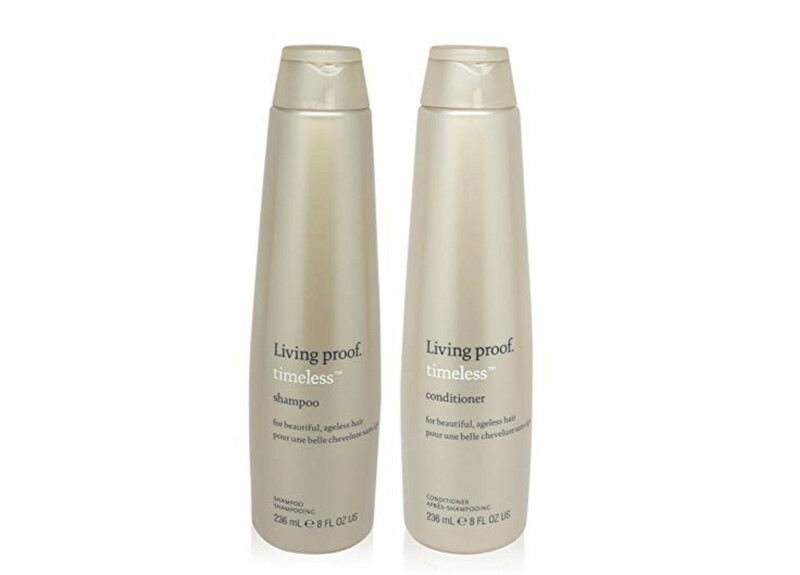 Living Proof is a popular brand for keeping hair looking ageless. This Timeless shampoo and conditioner set are sulfate- and silicone-free and do a fab job of maintaining your hair color. Even if you’ve opted to go full gray, these products will still make your tresses look their best. According to some reviews, Timeless works best on fine or thin hair—so keep that in mind if you’ve got a load of locks. Few brands are more recognizable than Pantene. With their Expert Pro-V Intense AgeDefy set, many believe the brand has gone above and beyond their regular formulas. From minimizing frizz and split ends, to keeping your hair color brighter for longer, the reviews are undeniable. And at a more affordable price point than some other products promising the same results, it’s worth a mention. 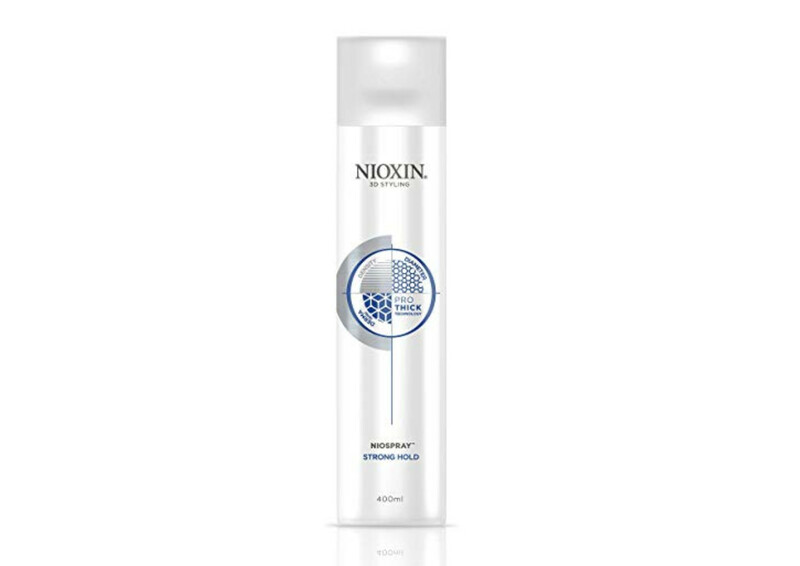 Nioxin is well known for being one of the most trusted systems for those struggling with thinning hair. However, they also have other hair products other than shampoos and conditioners, like this amazing hair spray geared toward anyone with more temperamental hair. 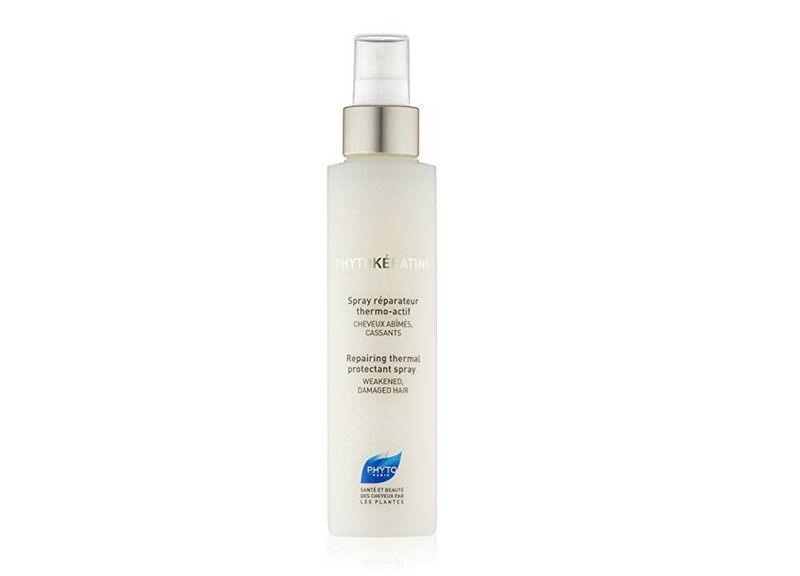 This spray provides the perfect amount of hold and volume while still being gentle on your hair and scalp. Sometimes switching to a new shampoo or conditioner isn’t enough. 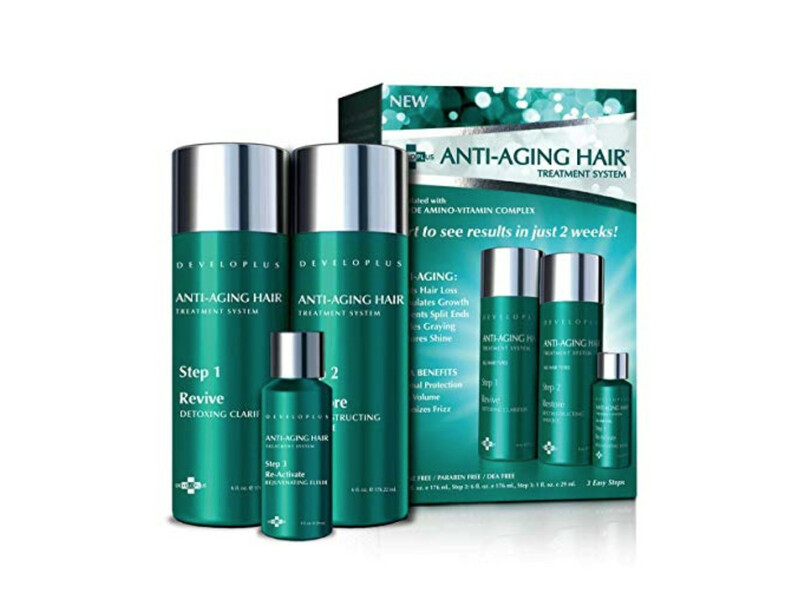 Sometimes you want an entire system that will help your specific aging hair needs. Cue the Developlus Anti-Aging Hair Treatment System, featuring a cleanser, conditioner, and a rejuvenating elixir that work together to get your tresses looking their best. 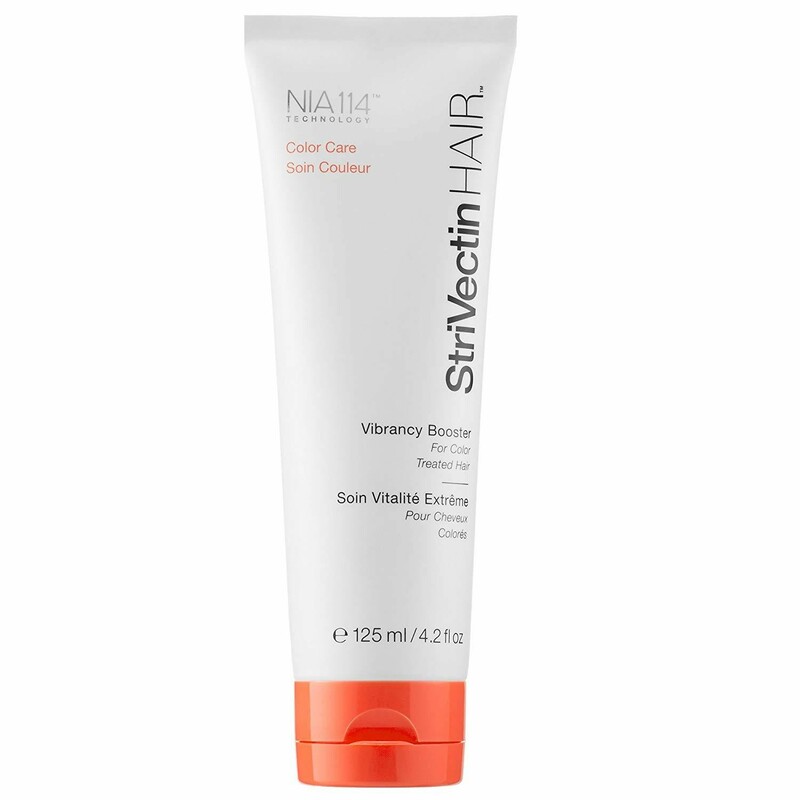 Created with an amino-vitamin complex that includes alpha hydroxy, protein, and vitamins B and E, to help stimulate growth, add thickness and volume, and add shine and life to your locks. Taking proper care of your hair can be rough when you’re on the road. 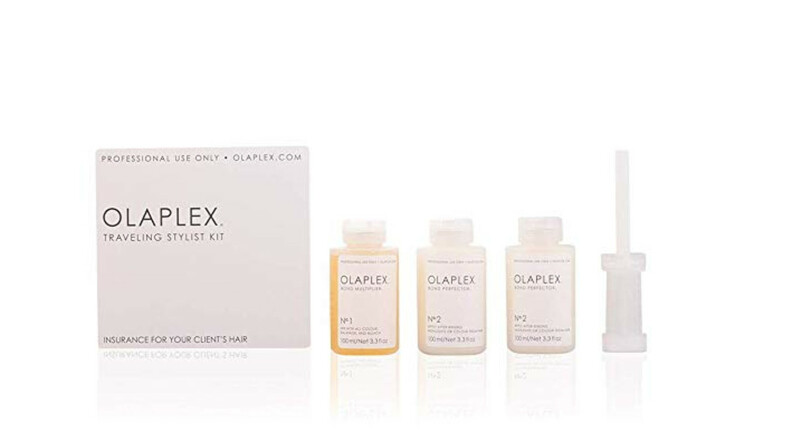 For the jetsetters out there, we recommend this Olaplex Traveling Stylist Kit. Follow along with their three-step process to keep your curls bouncy, your color bright, and your frizz at bay. This line of products is used by many stylists, and now you can use it in your own home (or away, thanks to the small size—perfect for air travel). 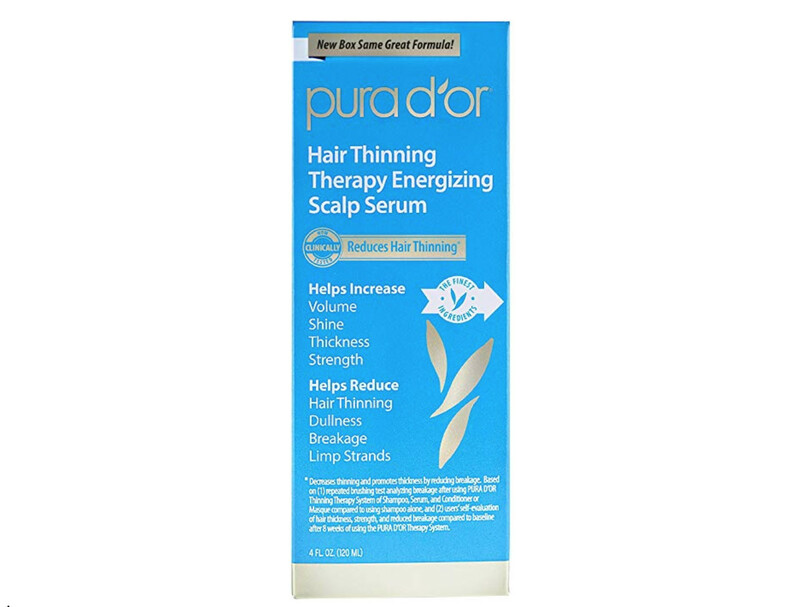 Pura D’or is a well-known company that sells various products specifically for treating fine and thinning hair. With their Hair Thinning Therapy Energizing Scalp Serum, they’ve created a product that addresses additional aging hair concerns like limp strands and breakage. Among their main ingredients are aloe vera leaf juice as well as larch wood extract—an ingredient that can have positive effects on the immune system and inflammation (both of which can cause hair loss). Nowadays, more and more folks are discovering that part of the key to great hair is also making sure you take care of your scalp. 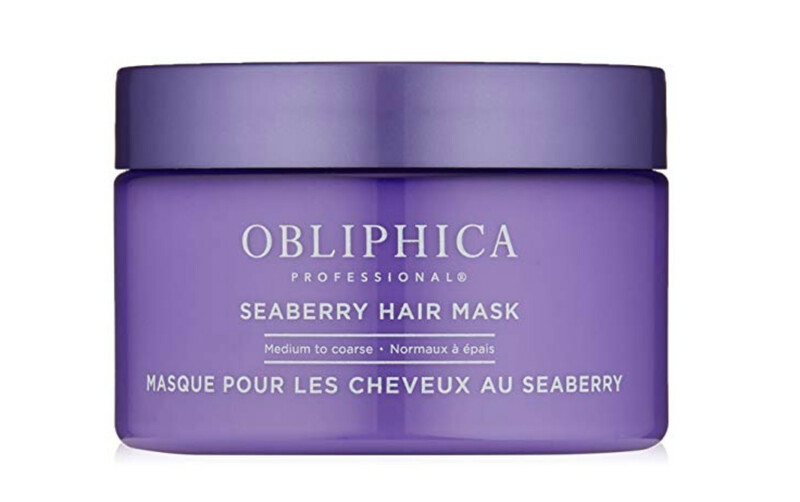 And for the ladies out there with naturally medium-to-coarse hair, there’s this fabulous Seaberry Hair Mask by Obliphica. Keep this one in your shower and make it part of your weekly routine. Massage some into your scalp for a few minutes, and then enjoy more nourished, healthier looking hair—no matter what your age. Rosemary essential oil has been known to help treat hair loss thanks to its anti-inflammatory and circulation-promoting properties. 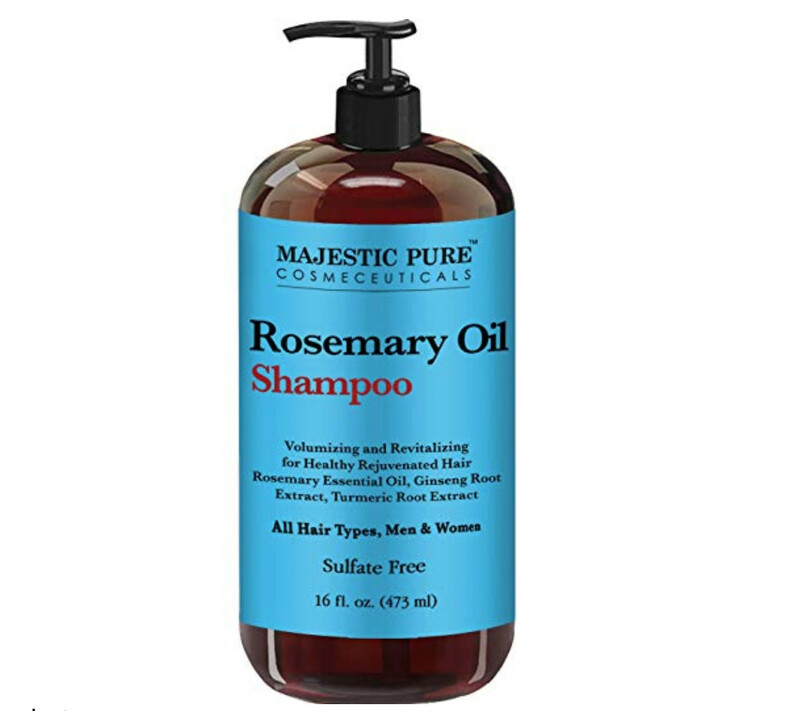 That’s why it’s exciting to find a hair product like Majestic’s Pure Rosemary Shampoo. Other great ingredients in this powerful cleanser include tea tree oil, biotin, clary sage oil, ginseng extract, and argan oil, all of which are great at preventing damage to your hair. Maple Holistics is a brand that focuses on utilizing natural ingredients and combining them with natural oils to reboot your hair. 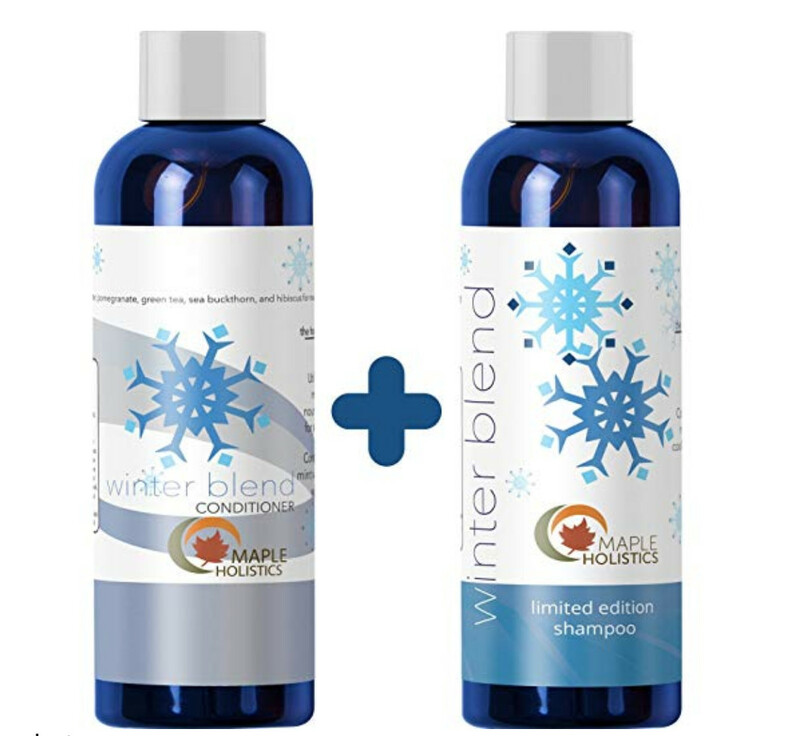 With this Winter Blend set, they’ve created a duo product that helps prevent and treat issues like dandruff and dry, flaky scalp (issues that can become more prominent the older we get, especially if we don’t give our hair enough TLC). Enjoy the delightful, tingling sensation of washing and conditioning your hair and scalp with these minty products that will keep your mane looking and feeling more youthful. For many women, one concern about choosing the right hair products lies in whether it will flatten out or make their hair look greasy. This is of especial concern for anyone experiencing hair loss. 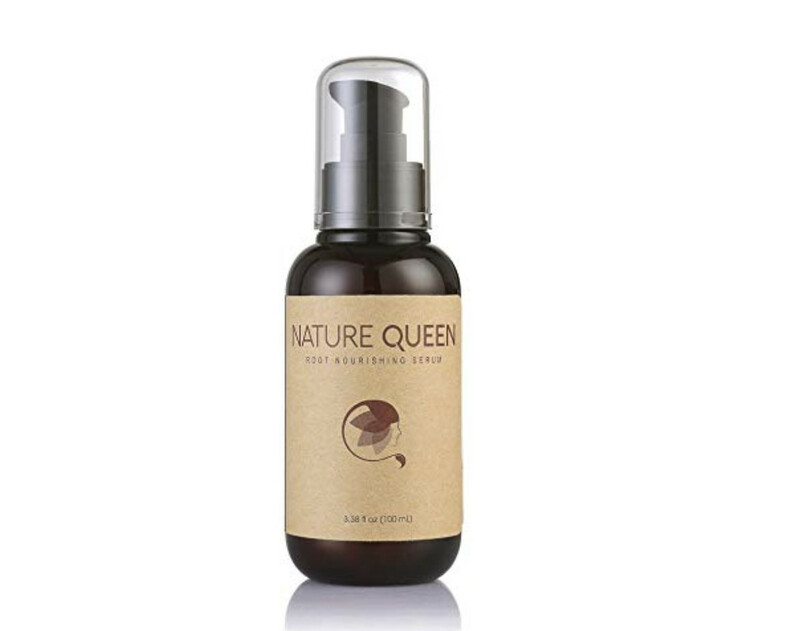 However, Nature Queen’s Anti-Aging Nourishing Serum is just the hair product you need to add volume and life to your tresses, while keeping you free from that weighed down sensation. Consider this one a necessary investment. Alright, you’re probably wondering why we would recommend straight aloe vera gel. Sure, we recommend it as an ingredient in other products, but that doesn’t mean aloe isn’t also fantastic as a stand alone item for your regular hair care routine. 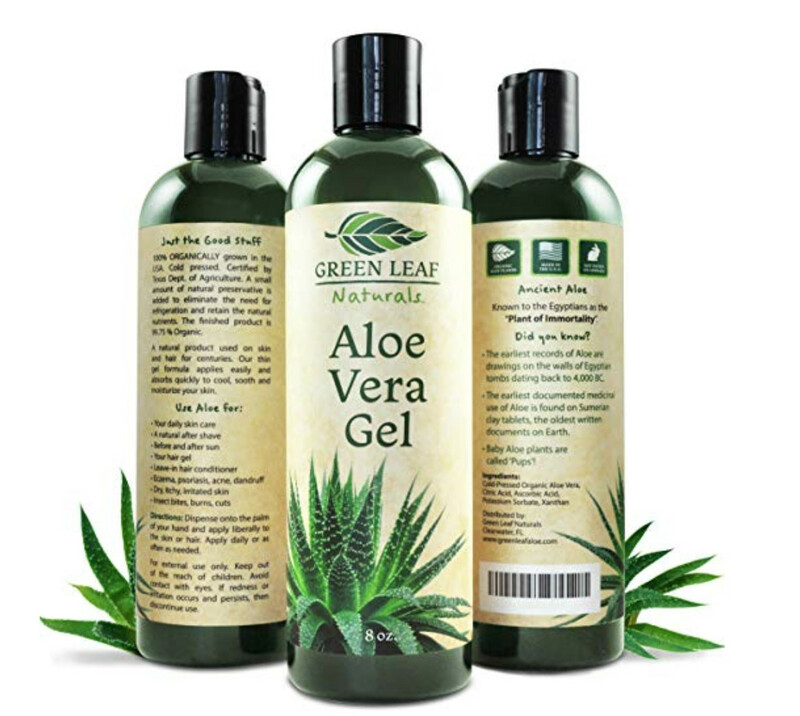 This high-quality gel is made from 100 percent organic aloe vera plants, and the bottle contains 99.75 percent aloe (with the rest being a few preservatives to keep it fresher longer). It’s also great for the skin, so it’s multipurpose and cheap to boot. If you do a quick search for hair products geared toward preventing further damage to hair, you’ll no doubt find a slew of products by the brand Caviar. These particular bottles are only 8.5 ounces each, but that’s good if you’re concerned with price point and simply want to try them out without investing too much. 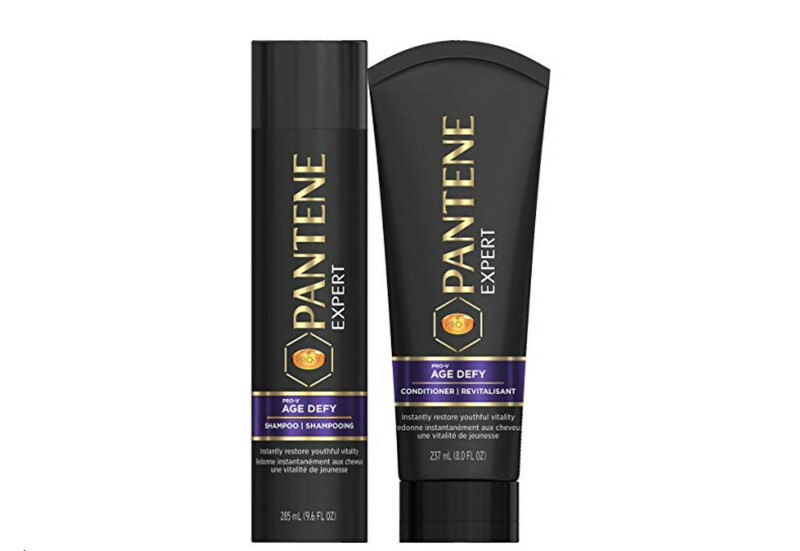 That said, women seem to really love this brand and this shampoo and conditioner set, which is aimed at replenishing moisture and health to your mature mane. Protecting your hair from heat damage is especially important the older you get. If you went through your twenties and thirties simply ironing and drying your hair sans protectant, you’re going to want to purchase this next product. The Kenra Platinum Blow-Dry Spray is a highly rated hair product that will smooth and detangle your ‘do while keeping it safe from heat damage, and this particular product works best with medium to coarse hair. Sometimes our hair is in such disrepair that we need a high-quality, daily-use product such as this one to get our crowning glory back to what it once was. 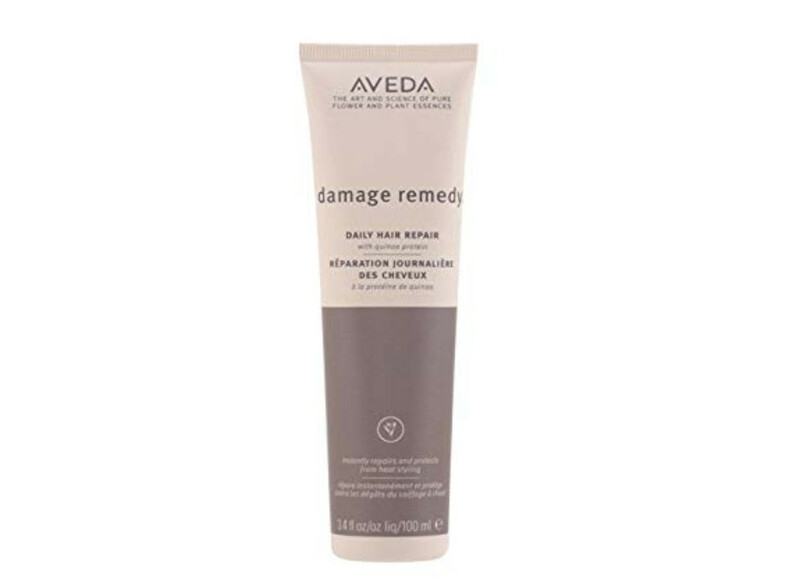 Everyone knows Aveda is a wonderful, widely-used and trusted brand, and so this leave-in treatment is no different. 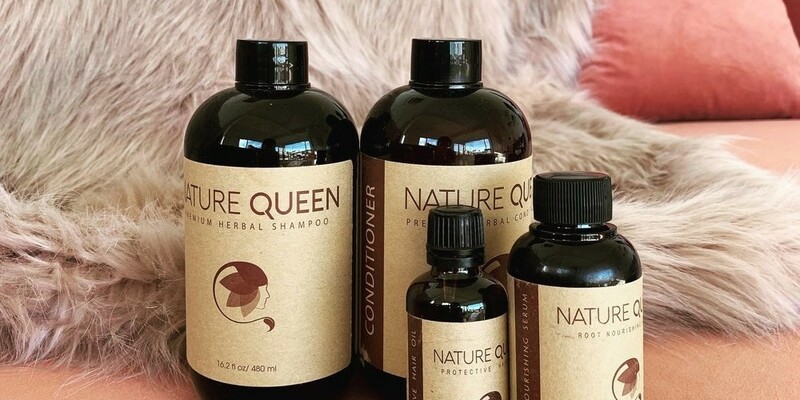 Made with quinoa, flaxseed extract, wheat protein, sunflower oil, and other natural ingredients, this hair product will keep your tresses smooth and healthy in a natural way. You’re wondering what products won’t do any more damage to your hair, but what if you’ve already got severely damaged locks? 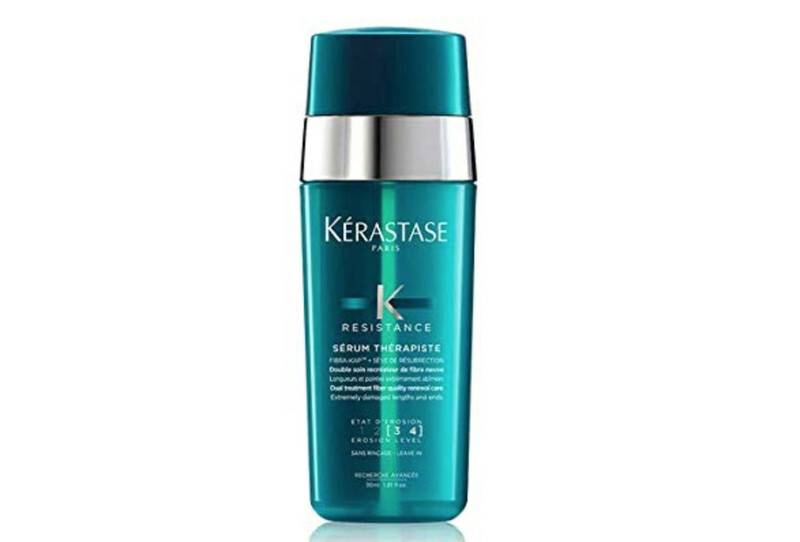 This amazing, restorative serum by Kerastase might just get your hair back to looking its very best. It will not only help prevent breakage and split ends, it can also protect your hair against heat up for 450 degrees—talk about impressive. In order to keep your hair looking just as youthful and healthy as before, you need to make sure to put in the time to care for it. 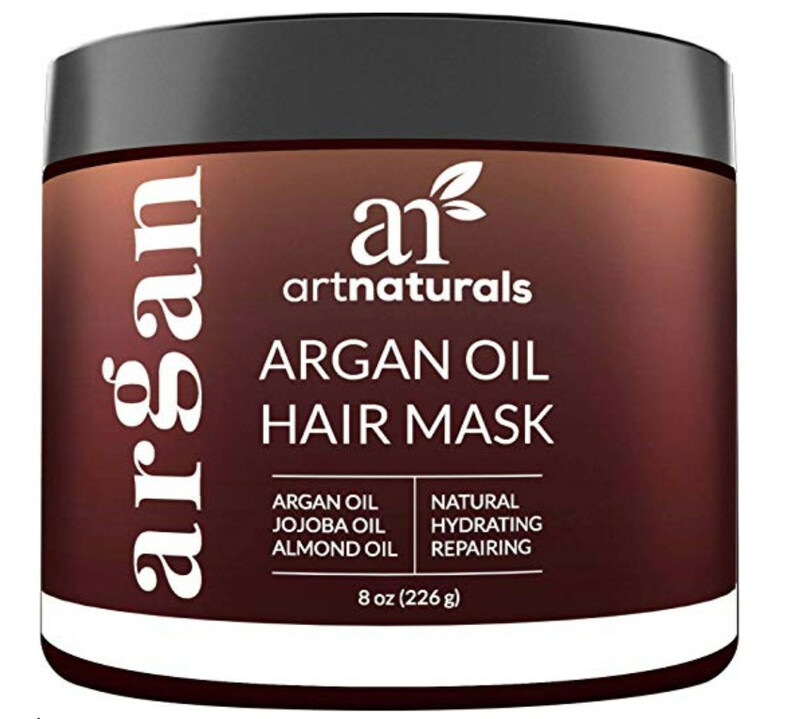 That means scheduling some you time to get in some deep conditioning treatments with products like this ArtNaturals Argan Oil Hair Mask. This certified vegan hair product is made with argan oil as well as other natural, revitalizing ingredients such as shea butter, jojoba seed extract, rice protein, quinoa, and aloe. It even sounds tasty, and your scalp will absorb its benefits right up. Jamaican black castor oil is an ingredient that has long been used for treating thinning hair, while shea butter is a staple in natural hair care. 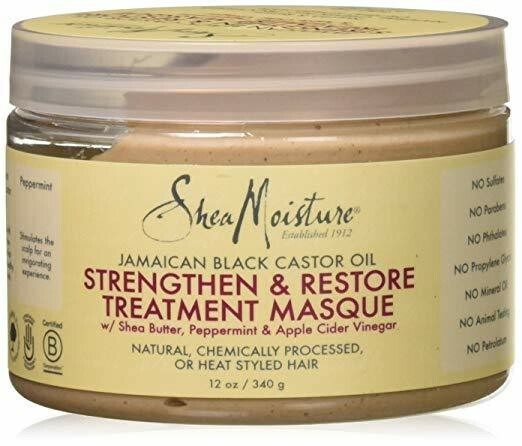 For ladies with curly or coiled hair, this restorative treatment mask by Shea Moisture will work wonders. It’s an exceptionally moisturizing hair product, so if your hair is fairly fine or thin, you may want to look elsewhere. But for the rest of y’all, do yourself a solid and buy up this phenomenal hair product. Chances are if you haven’t already gone full gray, you probably dye your hair on a regular basis. After a certain age, many women choose to dye multiple times of year, especially those who use box dyes. That’s why, in order to not cause damage to your mane, you’ll need to pick up a product like StriVectin’s Color Vibrancy Booster, which will protect your hair while maintaining your preferred color. Using hair products that minimize fading means you’ll be less tempted to dye your hair more often, which is a win/win for you and your ‘do. 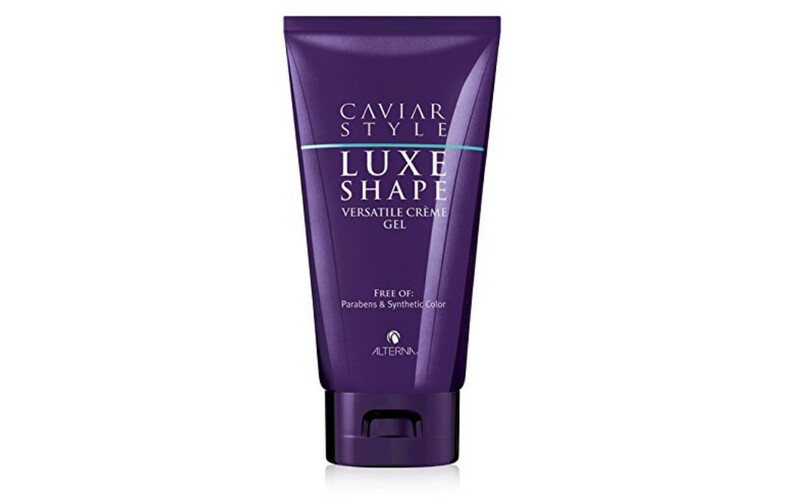 Whether you’re donning a shorter ‘do or need something to keep your curls looking cute, Caviar Style Shape Versatile Creme Gel is an effective hair product that’ll quickly win you over. This particular Caviar product provides a medium hold so your style sticks without getting too sticky. 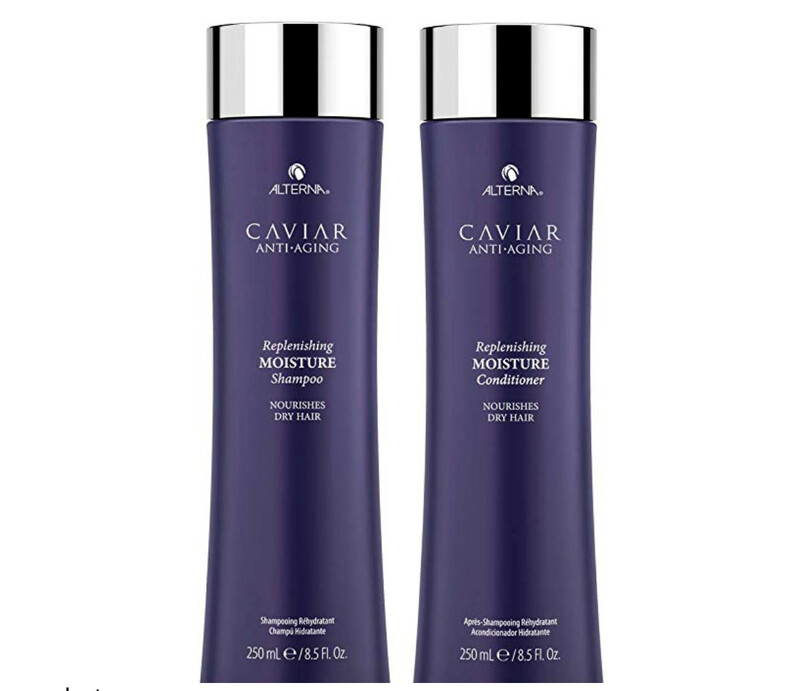 Moreover, Caviar is a brand that prides itself in creating products specifically geared toward damaged and/or aging hair, meaning they won’t worsen any current issues you’ve already got. 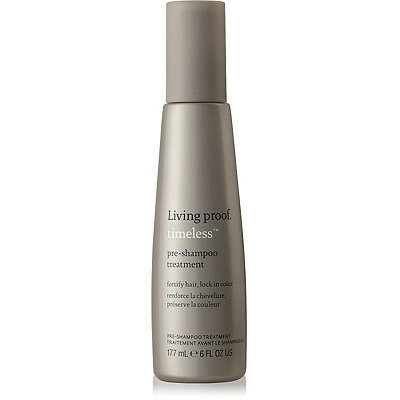 Living Proof makes the list again, this time with their Timeless Pre-Shampoo Treatment. Simply work this into your hair five minutes prior to washing and allow it to lock in moisture down to the shaft. Afterward, rinse out and use the Living Proof shampoo and conditioner we mentioned (or another preferred hair product). Reviews claim that this quality treatment even helps prolong hair color and essentially makes your tresses look healthier than ever. 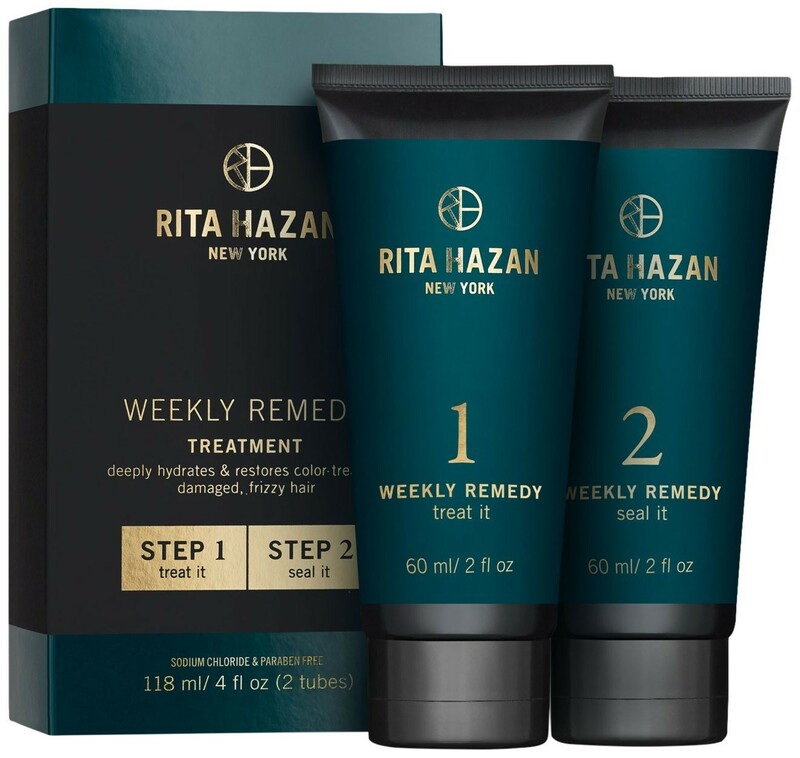 Many women trust the Rita Hazan brand as Ms. Hazan herself has worked with the likes of Beyonce, Jennifer Lopez, Katy Perry, and then some — all of whom have gorgeous heads of hair. Others trust it because they’ve witnessed just how well her products work. If you’ve got a fair amount of color damage, or a heck of a lot of split ends, this little two-part system will fix up what ails you quickly and effectively. Use the kit once a week just after you shampoo, and watch as your hair absorbs and seals in all the benefits. We hope this list helped you put together your new hair care routine! 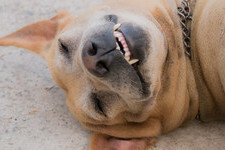 Just so you know, It's Rosy may collect a share of sales from the links on this page.